*Sol by Henri Whitehead. Price: Free. Genre: Science Fiction, Dystopian. Rated: 5 stars on 5 Reviews. 226 pages. ASIN: B00JZ5JN04. *The Fever Trilogy: The Complete Series Boxed Set (Deal, Not Free) by Keith Deininger. Price: $0.99. Genre: Dystopian Science Fiction Deal, Sponsor, If you like the Unusual and the Bizarre. Rated: 4.6 stars on 5 Reviews. 166 pages. ASIN: B07GX4NPLP. *Planet Chimera (Legacies of Monsters Book 1) by Bryan Nyaude. Price: Free. Genre: Science Fiction, Sponsor, Shot down over an Alien Planet, A Powerful Darkness Lurks. Rated: 4 stars on 2 Reviews. 172 pages. ASIN: B01B0UMPV0. *The Seventh Guard: Destiny Expires (Deal, Not Free) by Francis Halpin, Andrew Durkin. Price: $0.99. Genre: Science Fiction Adventure Deal, Sponsor, Dangerous & Fast Paced Adventure. Rated: 5 stars on 1 Reviews. 344 pages. ASIN: B07FR8DVJK. *MARS, THE NEW FRONTIER: A JOURNAL (Deal, Not Free) by DMEISTER JONES. Price: $0.99. 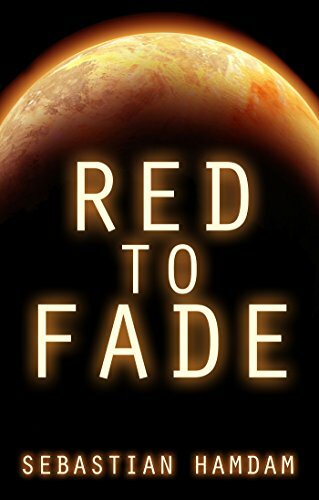 Genre: Science Fiction Deal, Sponsor, Mars Colonization Program, The Trip from Earth. Rated: 5 stars on 1 Reviews. 79 pages. ASIN: B07GRF1W7L. *Galactic Mandate: A Radical Cause (Deal, Not Free) by M.R. Richardson. Price: $0.99. Genre: Science Fiction Deal, Sponsor, Galactic Empire, Galaxy in Turmoil, Two Powers vying for Supremacy. Rated: 4.8 stars on 9 Reviews. 294 pages. ASIN: B07G52D4J1. ISBN: 1949568032. Get the paperback version at $15 here, please. *Galactic Mandate: A Radical Cause (Deal, Not Free) by M.R. Richardson. Price: $0.99. Genre: Science Fiction Deal, Sponsor, Peace of the Galaxy Rests on a Powder Keg but the Fuse is about to be Lit. Rated: 4.8 stars on 9 Reviews. 294 pages. ASIN: B07G52D4J1. ISBN: 1949568032. Get the paperback version at $15 here, please. *(Free for Kindle Unlimited) The Vanguard Emerges (Maraukian War Book 2) (Deal, Not Free) by Michael Chatfield, Dawn Chapman. Price: $3.99. Genre: Hard Science Fiction Deal, Sponsor, Military SciFi. Rated: 4.5 stars on 21 Reviews. 334 pages. ASIN: B07H7VM5B1. *(Free for Kindle Unlimited) Live Like a God: big adventure in a tiny world (Deal, Not Free) by Taylor Kole. Price: $2.99. Genre: Science Fiction Deal, Sponsor, Lit RPG. Rated: 5 stars on 1 Reviews. 302 pages. ASIN: B07HBKGRH3. Get the paperback version here, please. *Greenshift (From the World of Ambasadora Book 1) (Repeat) by Heidi Ruby Miller. Price: Free. Genre: Science Fiction, Dystopian, Space Opera. Rated: 4.5 stars on 26 Reviews. 160 pages. ASIN: B00788320W. ***Star Nomad: Fallen Empire Book 1 by Lindsay Buroker. Price: Free. Genre: Science Fiction, Space Opera, Space Exploration. Rated: 4.5 stars on 769 Reviews. 253 pages. ASIN: B01FWOW72W. *Planet Chimera (Legacies of Monsters Book 1) by Bryan Nyaude. Price: Free. Genre: Dystopian Science Fiction, Sponsor, Trapped on a Savage Planet with Dangerous Chimeras. Rated: 4 stars on 2 Reviews. 172 pages. ASIN: B01B0UMPV0. *Cyberside: Beta by Aleksey Savchenko, Bert Jennings. Price: Free. Genre: Science Fiction, Sponsor, Cyberpunk. Rated: 5 stars on 6 Reviews. 115 pages. ASIN: B07HHHNYHY. *Rigel (Appointments on Plum Street Book 1) (Deal, Not Free) by Eli Ingle. Price: $0.99. Genre: Science Fiction Deal, Sponsor, Steampunk, Gripping and Well Written. Rated: 4.4 stars on 4 Reviews. 239 pages. ASIN: B017UKGCDQ. *The Seventh Guard: Destiny Expires (Deal, Not Free) by Francis Halpin, Andrew Durkin. Price: $0.99. Genre: Science Fiction Deal, Sponsor, Filled with Intrigue, Quest for Truth, Hidden Mysteries. Rated: 5 stars on 1 Reviews. 344 pages. ASIN: B07FR8DVJK. *A Pack Of Dogs(Deal, Not Free) by Andrick Schall. Price: Free. Genre: Science Fiction Deal, Sponsor, Post Apocalyptic, A Man and a Pack of Dogs are Humanity’s Last Hope. Rated: 4 stars on 1 Reviews. 409 pages. ASIN: B07GDVW2KW. Get the paperback version at $15 here, please. *MARS, THE NEW FRONTIER: A JOURNAL (Deal, Not Free) by DMEISTER JONES. Price: $0.99. Genre: Science Fiction Deal, Sponsor, 2032, Space Crew stuck with each other for a 200 day trip to Mars. Rated: 5 stars on 1 Reviews. 79 pages. ASIN: B07GRF1W7L. *(Free for Kindle Unlimited) The Fifth Battalion (Deal, Not Free) by Michael Priv. Price: $6.95. Genre: Science Fiction Deal, Sponsor, Dynamic and Intense, Sometimes Gory. Rated: 4.6 stars on 3 Reviews. 368 pages. ASIN: B078LWGZB9. Get the paperback version at $12.25 here, please. *Galactic Mandate: A Radical Cause (Deal, Not Free) by M.R. Richardson. Price: $2.99. Genre: Science Fiction Deal, Sponsor, When Empires Collide no one is Safe and there’s no where in the Galaxy to Place. Rated: 4.8 stars on 9 Reviews. 294 pages. ASIN: B07G52D4J1. ISBN: 1949568032. Get the paperback version at $15 here, please. *(Free for Kindle Unlimited) The Vanguard Emerges (Maraukian War Book 2) (Deal, Not Free) by Michael Chatfield, Dawn Chapman. Price: $3.99. Genre: Science Fiction Deal, Sponsor, Alien Invasion. Rated: 4.5 stars on 21 Reviews. 334 pages. ASIN: B07H7VM5B1. *(Free for Kindle Unlimited) Live Like a God: big adventure in a tiny world (Deal, Not Free) by Taylor Kole. Price: $2.99. Genre: Science Fiction Deal, Sponsor, A Vacation, Miniaturized and Placed Amongst Giant Killer Insects. Rated: 5 stars on 1 Reviews. 302 pages. ASIN: B07HBKGRH3. Get the paperback version here, please.